Last year, I moved from Chicago to Paris and found myself going through a lot of boxes. 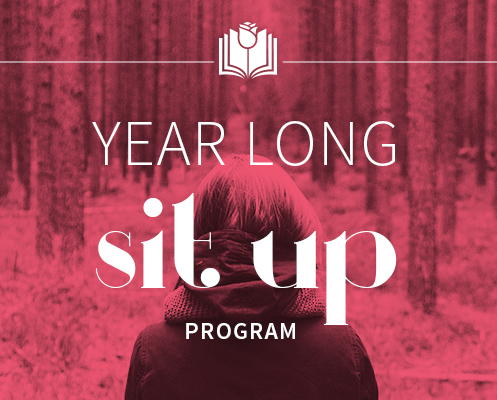 One thing that I came across that piqued my interest was my year long sit up course. I originally produced it on DVD (remember when those were cutting edge) back in 2004. The course is based on my core foundation…. everyone has a sixth sense. Regardless of what you do in your life, you should use your sixth sense as your first sense. When I decided to create this course, I prayed and meditated for over a year as to how I could better empower and support people to live this six sensory life that they deserve. Though I feel I am doing my part through my books and workshops to help raise your vibration, many of my students have complained to me. Although they love my books and workshops and find them invaluable in changing and improving their life, often after a week, a month, or even a few months they slip back into old habits and get buried in five-sensory drudgery once again. Suddenly, the solution came to me. My intuition said, “work with others the way your teachers worked with you.” When I thought about it, I met with them once or twice a week in their homes to practice my intuitive work. This is what built my intuitive muscles and helped me develop the confidence and the habits of six sensory living that I enjoy today. Their consistent support strengthened my abilities over time and now I can do the same for you. I want to meet with you, and offer you the same support that made such a difference in my life. So with that in mind, let me introduce to you… My Year Long Sit Up Program, Personal Coaching for Six Sensory Living. In this program, I meet with you every week, even every day if you’d like, at your convenience, on your schedule, via online video from my computer to yours. In each video meeting, I give you a Sit-Up for you to work on that week. In other words, it is a practice designed to strengthen your intuitive muscles. When you are ready to move on, you move on. Studies have shown that the best way to learn is in short sessions. So, these short coaching sessions are the best way to assimilate this information on all levels and not get overwhelmed. Each session is quick, direct, practical, and easy. You will build your spiritual muscles in no time by working with me on a regular basis. I guarantee it! Will this self-guided online course really teach me what I need to know to trust my intuition on a daily basis? YES! Sonia has used the same methods herself for over 40 years and has been teaching them for over 30 years. Why is the course so cheap? This was the first online course I ever created 8 years ago, so why not celebrate what I and most people believe is my best course. Is this course really for beginners? YES! You can know absolutely nothing about intuition, although you probably do, and move through this course gaining a ton of knowledge about how intuition and guides work in our daily life. When will I be able to access this course? My assistant does work around the clock but with clients all over the world we do ask up to 6 hours to have your course activated although most are done within 30 minutes. How long is the course? The complete course is 7 hours of video content directly from Sonia. Each individual lesson is 6-8 minutes. Your life will – bit by bit – start to change for the better. The course is yours forever. Plus you can retake it as many times as you wish. Cool? Join us for 30 days. If you feel there is no value we’ll happily refund you. Online access to 57 instructional videos. Watch as Sonia takes you through discovering your intuition step by step for an entire year. I am so excited to be relaunching this online course. Join us for 30 days. If you feel there is no value, we will happily refund you. Simple as that.